A San Francisco animal adoption agency will immediately halt its recent use of a security robot. 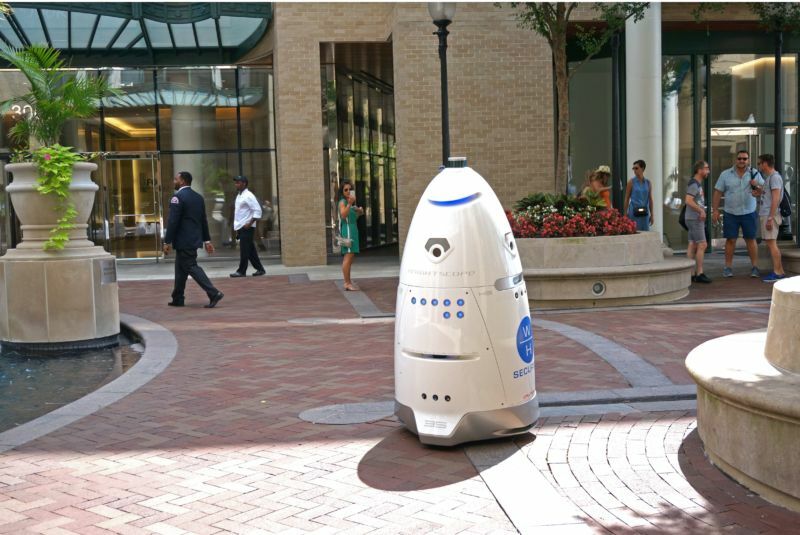 The San Francisco SPCA had deployed a Knightscope K9 robot to help prevent vandalism and the presence of homeless people at its Mission District office. But the violent anti-private property crowd has won and the homeless, filth and vandalism will remain. Although we had already limited the use of the robot to our parking lot, we think a more fully informed, consensus-oriented, local approach on the appropriate use of these new devices will benefit everyone—whether it's on public space or in private parking lots... We welcome guidance from the city on policies for the use of autonomous security robots. Since this story has gone viral, we've received hundreds of messages inciting violence and vandalism against our facility and encouraging people to take retribution. In addition, we've already experienced two acts of vandalism on our campus. Sounds like the lefty SPCA wanted to enforce a "border". Let the homeless live the DREAM !